Unable to continue her studies in Poland because universities did not admit women, Maria Sklodowska Curie traveled to Paris in 1891 to attend the Sorbonne. Known by the French "Marie," she spent every spare hour reading in the library or in the laboratory. The industrious student caught the eye of Pierre Curie, director one of the laboratories where Marie worked. Curie ardently wooed Marie and made several marriage proposals. 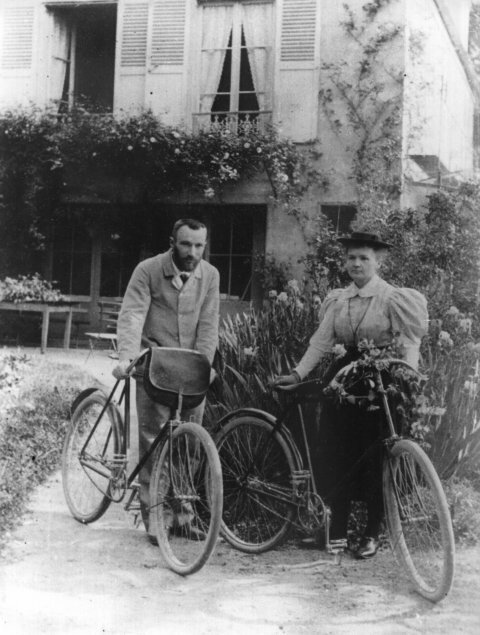 They were finally married in 1895 and began their famous partnership. In 1898 they discovered polonium and radium. 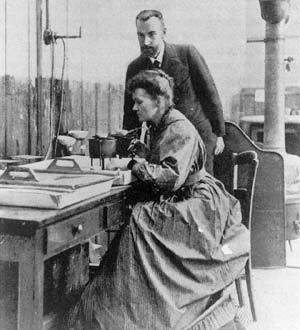 The Curies and scientist Henri Becquerel won a Nobel Prize for Physics in 1903 for discovering radioactivity. When Curie died in 1904, Marie pledged to carry on their work. She took his place at the Sorbonne, becoming the school's first female teacher. In 1911 she became the first person to win a second Nobel Prize, this time for chemistry. She continued to experiment and lecture until her death of leukemia in 1934, driven by the memory of the man she loved.